AED Signs direct others to your AED in emergency. When emergencies happen, every second counts! If someone experiences cardiac arrest, simply having an AED at your facility is not enough. 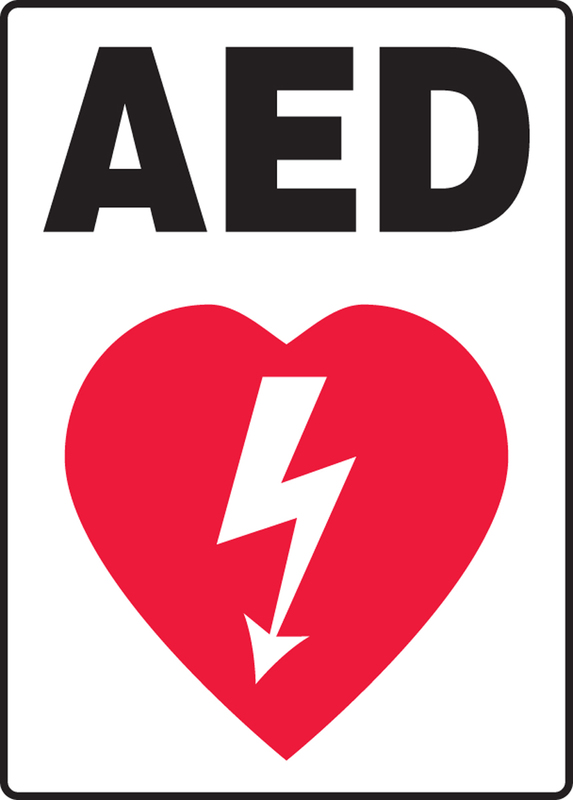 Make sure that your facility's AED is always easy to find by posting a clear, bold AED Sign. We offer a variety of AED signs to suit your AED sign needs. We also offer AED inspection tags to assure proper maintenance of your AED units.